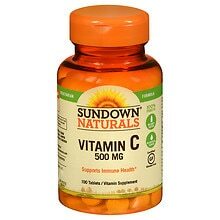 As a kid whenever I started to get sick my mom would immediately have me start to take vitamin C pills. This blog post is about how vitamin C affects us and if it actually helps shorten a cold. I can say I do think that vitamin C helped me, however; I’m not sure if it is actually do to the medicine or something known as the placebo effect. The placebo effect means the drug is not helping the patient but just the fact that the patient thinks they are receiving treatment they get better. I am not sure exactly how long I would have a cold for but on Wikipedia it says the average length of a cold is between 7 to 10 days. In order for vitamin C to have a positive effect it would need to cut down this time significantly. C and can often cause death. James Lind did not know why having the sailors drink lime juice was solving this problem all he knew was that it worked (asg.org). Here is a situation that Andrew was talking about in class where a problem was solved but no one knew what solved it. They saw the realization that giving the sailors lime juice helped with scurvy they just didn’t know why this happened. According to Anna Almendrala we now know that vitamin C does many things for our body including help strengthen our immune system, help absorb iron, and regenerate antioxidants. (Huffington Post). A study was done to truly see the benefits of Vitamin C. The study included over 11,000 participants. These were not participants of average people but of people who were exposed to extreme weather for a long period of time. The participants were given doses of vitamin C everyday from 250 milligrams to 1,000 milligrams. At the conclusion of this study 50% of people experienced less colds. This study was done with people in extreme conditions and had major affects; vitamin C for normal people did not have as great as an affect. The results found that for an average person taking vitamin C everyday did not reduce the number of colds that person experienced. It did however shorten the length of the cold that they experienced. One important fact from this study was that it only reduced the cold if you were taking it before the cold started not during. My mom had the right idea in having me take vitamin C but just had me taking it too late. This entry was posted in Uncategorized on September 14, 2016 by dff5115. This post was was interesting as I’ve never heard of anyone taking vitamin C pills in order to protect oneself from sickness, but this article here does state that regular ingestion of vitamin C has not been proven to prevent colds, but that it does in fact support a healthy immune system. The study also notes that the benefits seen from vitamin C ingestion are modest, and that eating more fruits and vegetables is probably a better way to strengthen your immune system. My mom always made me take vitamin C too whenever I got sick, and I never believed that it worked! I do believe that supplements like vitamin C tablets do have somewhat of a placebo effect on individuals. Now that I know that vitamin C shortens the length of a cold, I definitely will think about taking it daily! Thank you for the insight, I really enjoyed this post! I take vitamin C pills and drink emergen-c almost everyday because I hate being sick! I also take them when I am sick but now I know that it has no effects on me! It only shortens the length of the cold before you get it! Thank you for enlightening me on this!